At least 29 people have been killed after gunmen have stormed two buildings in the Iraqi capital Baghdad, officials say. Twenty of those killed were said to be women. 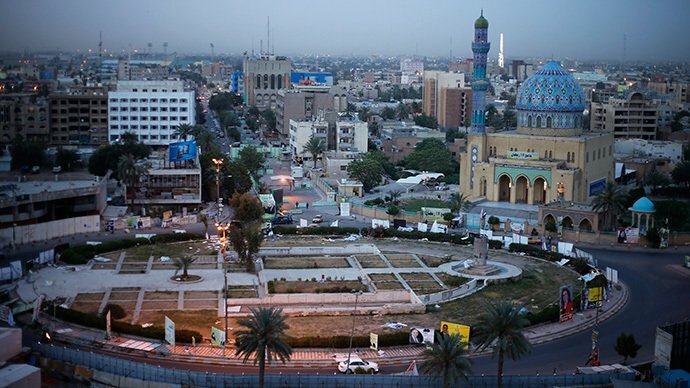 The attack took place late on Saturday, July 12, in the neighborhood of Zayouna in east Baghdad, police said. One officer said he “found bodies everywhere”. Locals in Zayouna have accused Shia militias of killing women thought to be prostitutes, Reuters news agency reported. The neighborhood is a mixed district of Sunni and Shia Muslims. Iraq is experiencing an upsurge in instability as government forces battle an Islamist insurgency led by the jihadist Islamic State in Iraq and the Levant (ISIS), which has seized huge swathes of the country’s north-west and closed in on cities near Baghdad.